Charles Darwin, 1868. Source: Wikimedia Commons. 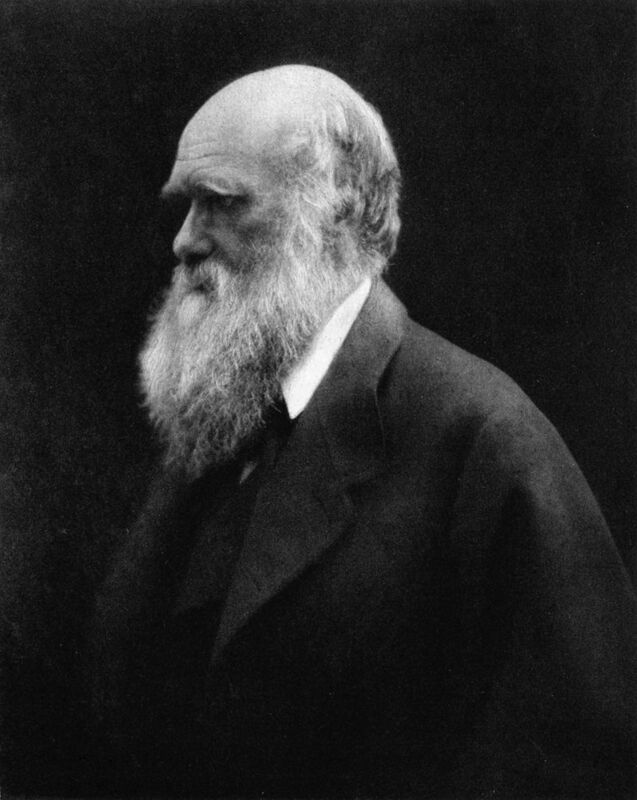 Charles Darwin developed his theory of evolution in the middle of the 19th century. Are his ideas still relevant today? Remarkably, even though Darwin’s insights on evolution were based on little more than observations and the results of simple experiments he conducted in his home, his insights have largely withstood the test of time. In fact, despite all the advances in science that have taken place over the 160 years since he published The Origin of Species, Darwin’s theory of evolution by natural selection has become the central organizing framework of all of biology. What’s more, Darwin’s ideas on evolution have led to several practical applications for life in the 21st century that Darwin himself would never have imagined. The emerging field of evolutionary medicine is helping us understand why we get sick and how to prevent and treat diseases in ways that account for the ongoing evolution of bacteria, viruses, and other pathogens. Take the seasonal flu, for instance. Why is it that the flu strikes every year at about the same time, and given its regularity, why haven’t we been able to develop a single vaccine that protects us from all future flu outbreaks? The answer is that the flu virus is constantly evolving. 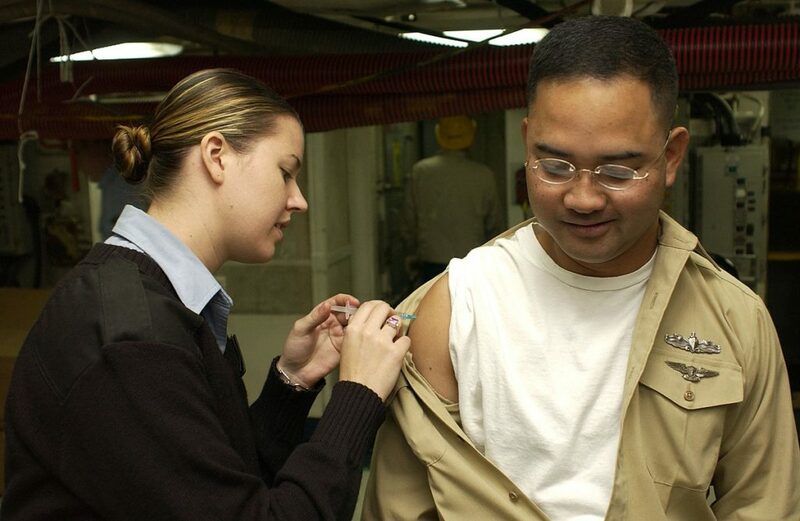 Influenza is caused by viruses that mostly infect birds and mammals. But every so often,a mutation in the virus’ genome makes the influenza virus more capable of infecting humans. This evolutionary change allows the virus to jump from animal hosts to human hosts and it happens with some regularity, leading to seasonal flu outbreaks. Each time such a jump happens, it results from slightly different mutations, which is what makes it so difficult to develop a single seasonal flu vaccine that would remain effective from year to year. This is the same reason why it has been so difficult to develop a vaccine against diseases caused by other quickly evolving viruses, like HIV. Thanks to evolution, a virus is a moving target. Nevertheless, predicting the evolution of viruses has allowed epidemiologists to make headway, with encouraging results in the development of vaccines even against rapidly evolving viruses. Likewise, the field of evolutionary medicine is making progress in combating another evolutionary problem– antibiotic-resistant bacteria. Any time we take antibiotics to treat a bacterial infection, the few bacteria in our bodies that happen to have genes that make them resistant to the antibiotic will survive while those that do not are quickly killed. Those surviving bacteria will reproduce, making their genes more common in the next generation of bacteria. We are essentially conducting an evolution experiment inside our bodies. Darwin’s theory for how species can evolve through natural selection can also apply to non-living entities that behave like organisms, such as computer programs. The basic idea is to develop computer programs that randomly change in small ways, similar to how mutations randomly alter the DNA of living species. To mimic natural selection, the different versions of the programs compete for access to the computer’s memory, and those that are more effective are copied, leading to ever more efficient programs. 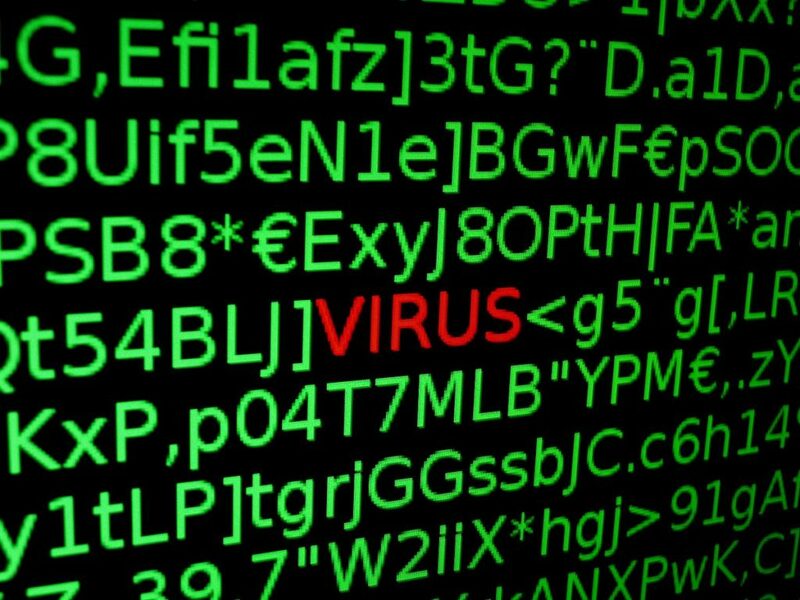 Computer virus illustration. Author: Santeri Viinamäki . Source: Wikimedia Commons. Such “digital evolution” approaches have been used to solve complex technological problems, like when NASA needed an antenna for its spacecraft that no human engineer could yet design. Using digital evolution, they quickly arrived at a very effective design. Darwin was well aware that humans are capable of harnessing the power of evolution to advance our own interests. In fact, he began The Origin of Species with examples of the many ways in which we have used animal and plant breeding to develop varieties of crops, livestock, and pets that enhance their suitability as food, laborers, and companions. Darwin knew these examples would be familiar to his readers, and he pointed out that the process of developing ever more useful plants and animals, which he called artificial selection, is essentially the same as natural selection. 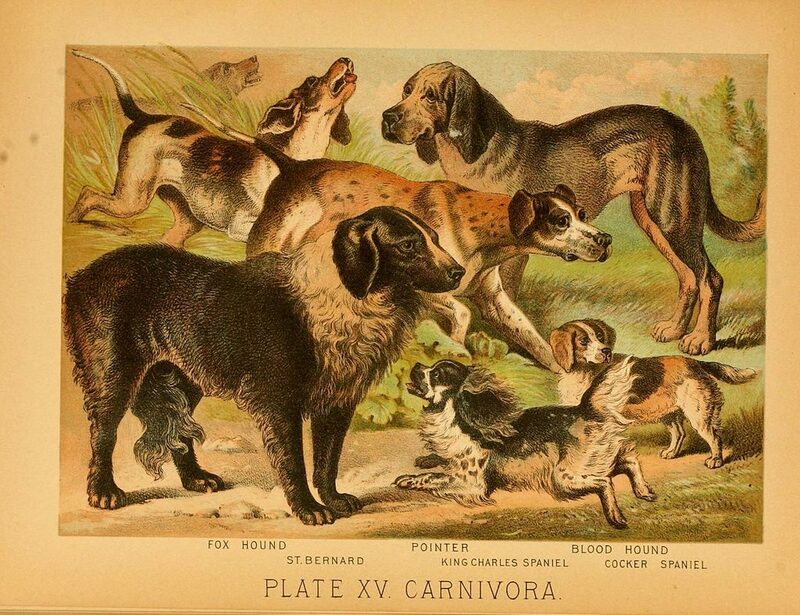 An 1897 illustration showing a range of dog breeds. Source: Wikimedia Commons. In the 21st century, our ability to guide evolutionary change through artificial selection has gone far beyond what Darwin could have imagined. As insightful as Darwin’s ideas were, they lacked one fundamental element that he knew was necessary to fully understand how life evolves– the nature of heredity. As the field of genetics emerged and developed throughout the 20th century– from the rediscovery of Gregor Mendel’s experiments on pea plants in 1900, to the elucidation of the structure of DNA in the 1950s, to the announcement of the sequencing of the entire human genome in 2000– the missing link in Darwin’s theory came increasingly into focus. Uniting genetics and evolution not only helped biologists piece together the history of how evolution has given rise to the species alive today, it also gave rise to new ways to predict– and to control– the future evolution of species. Today, new tools– including the gene editing technique known as CRISPR– offer the possibility of directing the evolution of species in precise, deliberate ways. While these technologies have advanced considerably in recent years, we must ensure these methods are safe and ethical before they can be widely used, especially in humans. Dr. Scott Solomon is an Associate Teaching Professor at Rice University with a Ph.D. in Ecology, Evolution, and Behavior from the University of Texas at Austin where his research examined the evolutionary basis of biological diversity in the Amazon Basin. Dr. Solomon will be presenting an exciting lecture titled What Darwin Didn’t Know at the Houston Museum of Natural Science on March 26th.